The date was November 8, 1967. No other original recording is known to have survived from the evening's festivities that took place at the Disneyland Hotel. 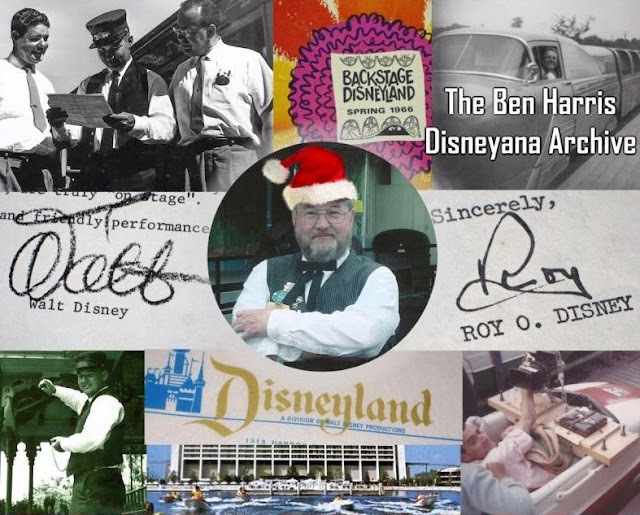 The rare recording I recently acquired from the personal archives of former Disneyland Production Manager, Ben Harris includes nearly 48 minutes of tributes and honors for the original band master of the Disneyland Band. 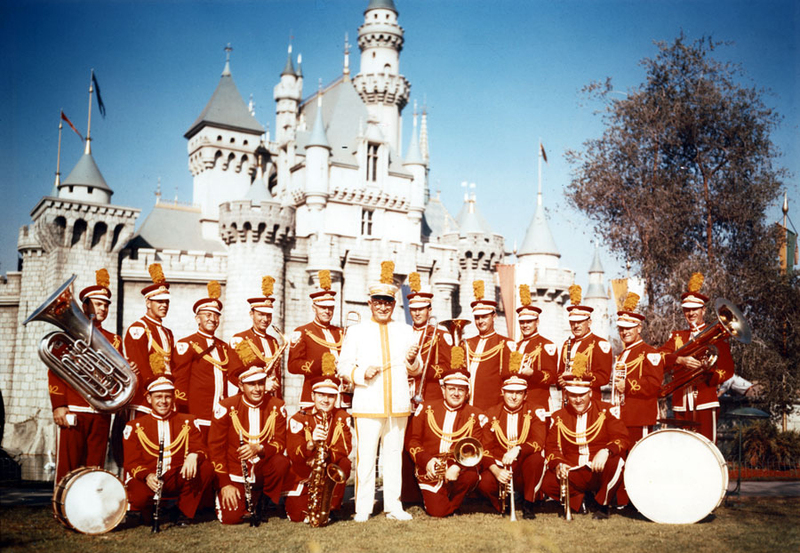 Vesey Walker and the Disneyland Band pose for a photo in front of Sleeping Beauty Castle. The event was held at the "Poolside Room" (adjacent to the Olympic Swimming Pool and the Gourmet Restaurant) of the Disneyland Hotel. 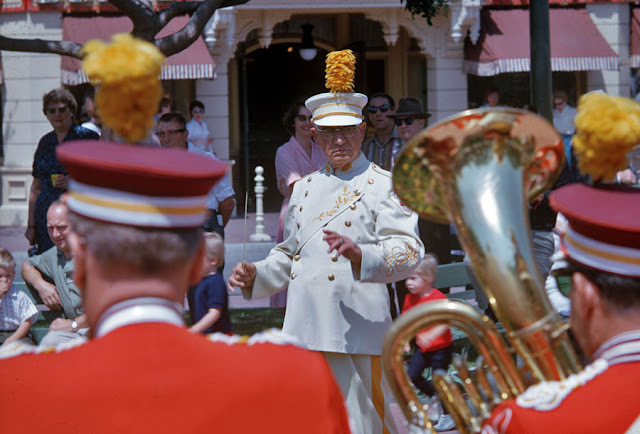 Hosted by Disneyland's Bob Matheison, this specific recording may be the most significant historic overview ever created to honor the career of the Disneyland Band's Founding Director, Colonel Vesey Walker. Often remembered as Col Walker's "retirement party"... the occasion was actually anything but that. On this remarkable evening, a small gathering (estimated at 60 guests) of Disneyland's elite management team would assemble adjacent to the Disneyland Hotel's Gourmet Restaurant. 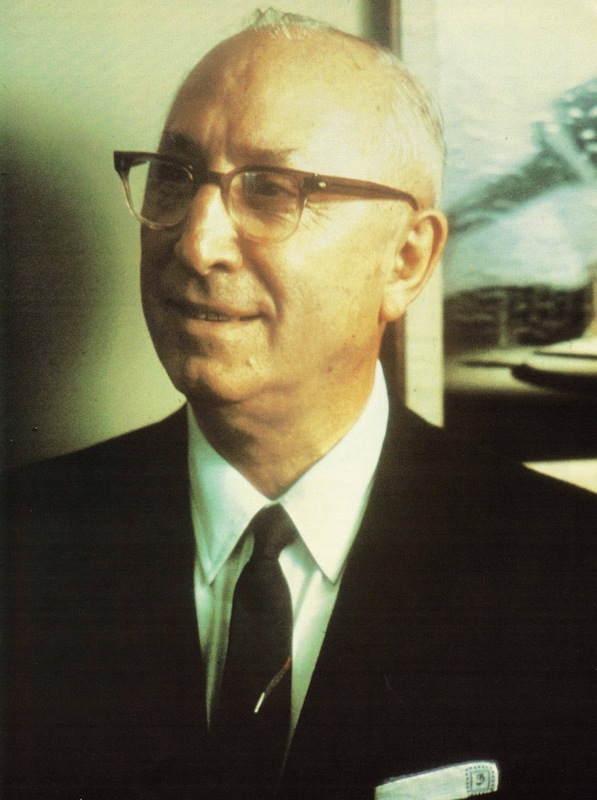 Also in attendance were approximately 40 members of the local press corps, all in tribute to the man who began his Disneyland career on Disneyland's opening day, July 17, 1955. The event crowded the 100 people into a rather intimate space of standing room only. The recording also recalls the illness which nearly sidelined Walker in 1963. 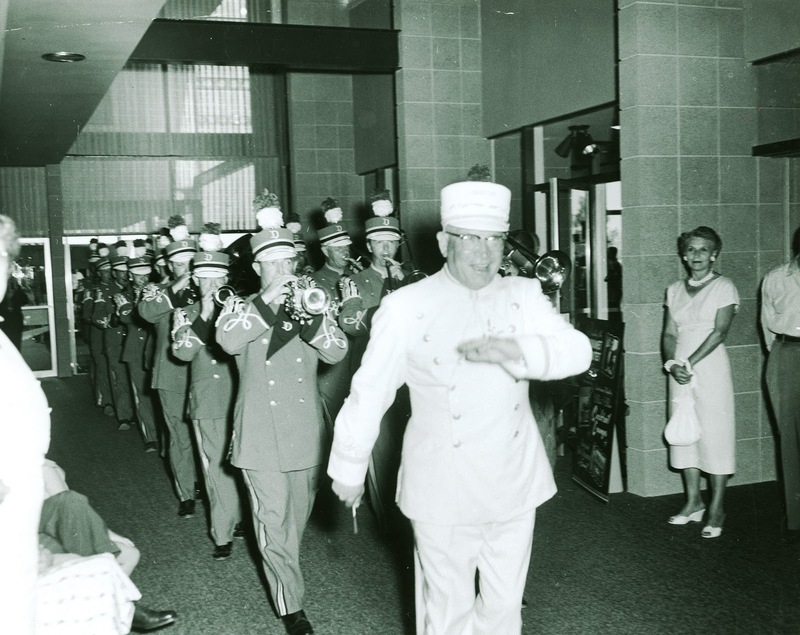 With the care of his family and friends, Col. Walker not only returned to Disneyland, but even threw away his walking cane and continued as "Bandmaster of the Disneyland Band" and "Founding Director for Life" until his actual retirement in 1970. Hib Lankin - Officer in charge of security for the US Department of State (western region); notably, hosted Sukarno (President of Indonesia) the first head of state to visit Disneyland in 1955. The shy Roy O. Disney provided some of the most heartfelt remarks on his brother Walt and the creation of Disneyland ever heard. The tape closes with several minutes of heartfelt remarks from Vesey Walker himself, remarks not heard for nearly a half century. Notably, Walker recalls Walt Disney and Walt's unique pronunciation of the name "Vesey" and his hopes for the music that would entertain guests in the years to come ("if you can't sing part of it... don't play it!"). 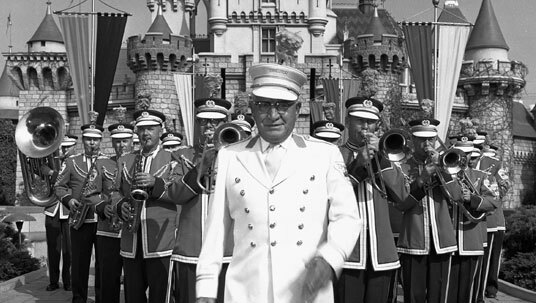 Walker also recalls that before he came to Disneyland, he would often judge band competitions among Southern California's best marching bands. In 1954, he gave a trophy to the finest student in the University of Southern California Trojan Band, Disneyland's own Bob Matheison. In a particularly moving close, Walker pays tribute to his wife and to his son, Tommy Walker; both of whom were in attendance that night. 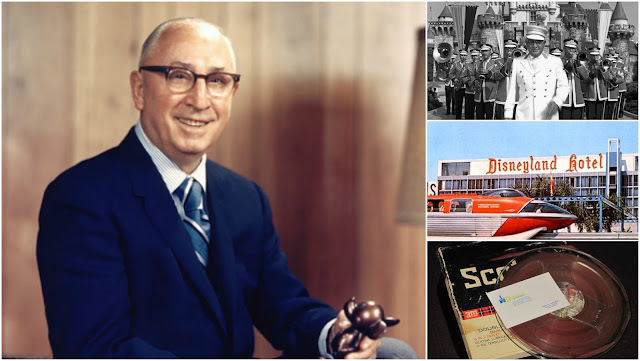 Though Tommy Walker's services at Disneyland had been terminated during the summer of 1966, he would return for this special event, held on his own 45th birthday, November 8, 1967. 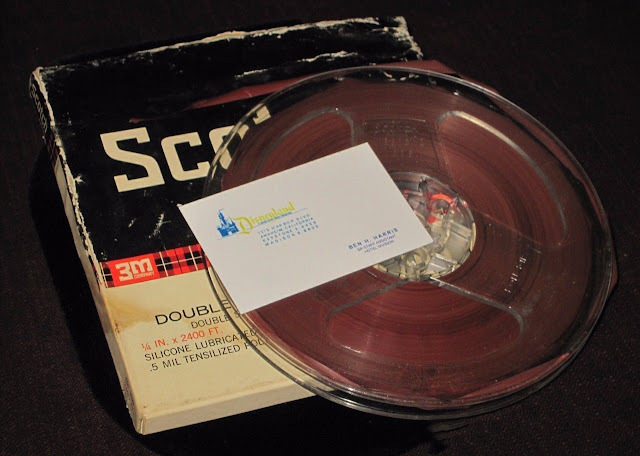 The audio tape is preserved on 1960's era Scotch Brand Magnetic Tape and is in good condition (though the box is very worn with previous moisture causing the ink on the box to fade somewhat). 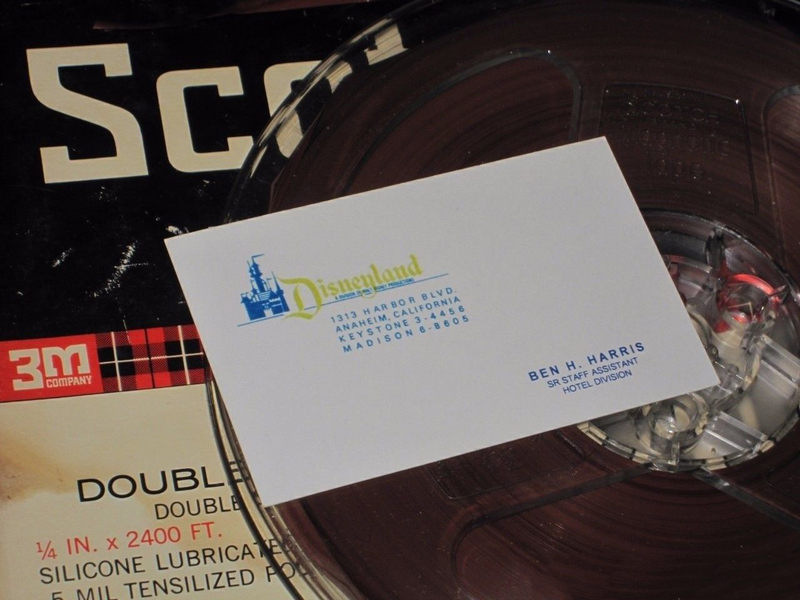 This historic recording came from the collection of former production manager for entertainment during those years, Ben Harris, who worked with Disneyland's sound department personnel including Dean Narath and John Gerlach to coordinate many of the necessary historical recordings at Disneyland and specifically to document Disneyland's special events. Previously trained by Vesey's son, Tommy Walker (then head of Entertainment for Disneyland) Ben Harris arranged for the necessary equipment to document this special event. 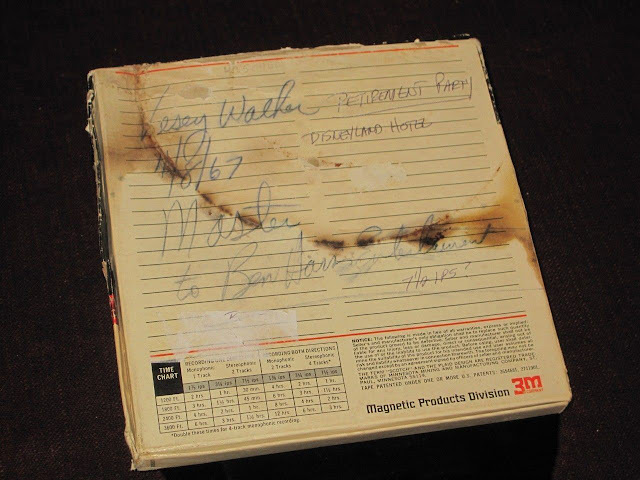 Ben's copy of the tape that I recently acquired was preserved within his own files (until his 1970 departure for Florida / Walt Disney World) and the only other copy was provided to the Walker family. The location of the latter tape is not known today. I'd like to thank Dave Mason with Saturday's Toys for the description of this audio recording and for making such an incredible piece of Disney history available to purchase by working with Ben Harris. 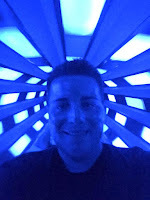 Be sure to check out Dave's articles here on Disney Avenue and also see if any of his incredible auctions interest you by browsing through his eBay page HERE. I'd also like to thank Don Ballard, author of Disneyland Hotel 1954-1959: The Little Motel in the Middle of the Orange Grove, for allowing us to post the two photos inside the Disneyland Hotel. 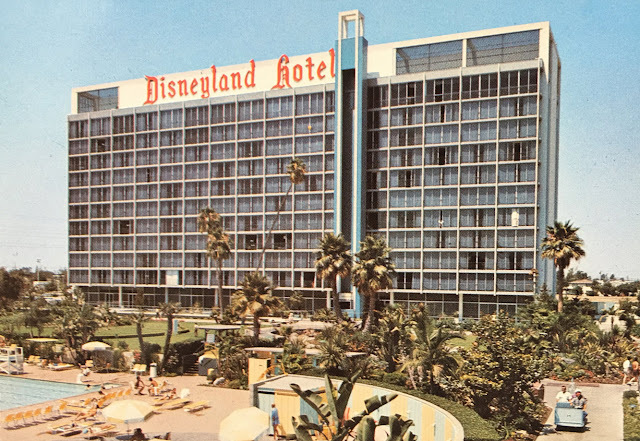 Be sure to grab a copy of his incredibly detailed books on the Disneyland Hotel by clicking HERE. This is amazing work and research. Thank you for posting. We kindly ask that this recording not be reproduced in any form or fashion without the written consent of DisneyAvenue.com. Thanks for respecting our ownership of this rare recording. Kudos to you Keith for making this recording available for the Disney fans to listen to! Cool picture of Vesey with John Phillips Sousa!